5 December, 2016 - Launched today, CDP's 2016 forest report reveals that nearly a quarter (24%) of the revenues of global companies depend on four deforestation-linked commodities: cattle products, palm oil, soy and timber products. As much as USD906 billion in annual turnover could be in jeopardy. These latest insights are included in the report by CDP titled "Revenue at risk: Why addressing deforestation is critical to business success", which has been produced on behalf of 365 investors representing US$22 trillion. A total of 187 companies provided data to CDP this year on their deforestation risk management strategies. The scoring of disclosed efforts to address deforestation was undertaken by leading sustainability solutions provider South Pole Group. Two of the most important global commodity traders, Archer Daniels Midland and Bunge, are among the major firms who disclosed deforestation data for the first time through CDP. The report finds that despite the fact that a significant share of income is derived from commodities linked to deforestation, fewer than half (42%) of companies have evaluated how the availability or quality of these commodities will impact their growth strategy over the next five or more years. This suggests that companies are overlooking potential business risks linked to deforestation. Risks include impacts arising from the physical effects of climate change on the quality, availability and prices of commodities; tightening regulation; and brand damage from increasing media and civil society scrutiny of commodity sourcing practices. "Sustainability risk within commodity supply chains is real, and is already having an impact on corporate performance. This latest market-wide snapshot by CDP shows just how vulnerable companies are to these risks," says Renat Heuberger, CEO, South Pole Group. "The commitment to zero-deforestation and low-carbon procurement needs to be ingrained at the highest level of corporate decision-making if companies want to keep thriving. To remain profitable in the long run, business needs to embrace more advanced, sustainable approaches to commodity sourcing." Already 81% of agricultural producers - the companies who sit at the top of global commodity supply chains - say they have experienced deforestation-linked impacts in the past five years that have led to substantive changes to their business. Marfrig Global Foods say drought conditions have resulted in higher operating costs and reduced beef production in the Brazilian industry. And Wilmar International report impacts on brand value as customers become more sophisticated in their demands for sustainable products that are traceable and deforestation-free. These companies produce the commodities that are fed down global supply chains and end up in products ranging from ice cream to toothpaste, footballs and lipstick. On average, only 30% of manufacturers and suppliers can trace these commodities back to the point of origin. The financial risks to companies can impact investor portfolios and pressure is mounting on both investors and companies to act on deforestation. More investors have joined the call for companies to disclose: The number of investors that are signatories to CDP's forests program has risen by a fifth since 2015, with new signatories including UBS and Morgan Stanley. There are now 365 institutional investors requesting corporate deforestation data through CDP, up from 184 in 2013. Companies are also recognising benefits in scaling-up their forest protection efforts. Unilever Plc and Marks & Spencer are working to prioritise commodity sourcing from areas that are pursuing comprehensive forest-climate programs. Unilever says this will allow them to improve supply chain security and make monitoring and verifying environmental impacts more straightforward. German consumer goods giant Henkel AG is training key smallholders in order to improve livelihoods and ensure sufficient volumes of sustainable palm oil are available on the market. And Colgate-Palmolive - who is working with suppliers on responsible sourcing practices — also identifies opportunities to increase the capacity of sustainable commodity markets. 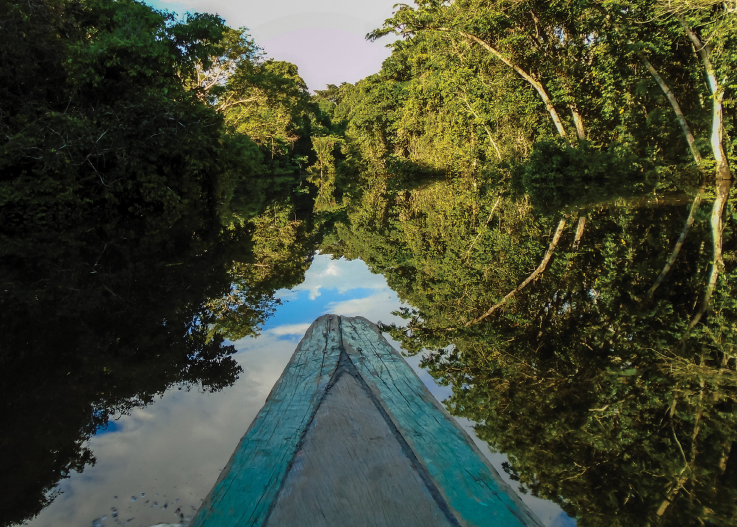 "Companies need to address the sustainability of products that drive deforestation quite simply to protect their balance sheets," says Katie McCoy, head of forests at CDP. "Supply chains are like rows of dominoes: if unsustainable commodities enter the top of a supply chain, the effects will cascade throughout. Failing to address deforestation will have knock-on reputational impacts, manifesting themselves as consumer boycotts, community opposition, and increased regulatory scrutiny. Business growth is at risk."